Time until Every Extend Extra release day! Every Extend Extra is a shoot 'em up video game by Q Entertainment for the PlayStation Portable. Every Extend Extra is a redevelopment of the popular freeware game Every Extend, which was a personal project by Kanta Matsuhisa under her "Omega" pseudonym. Q Entertainment, as a 'boutique' developer, built on the concept. 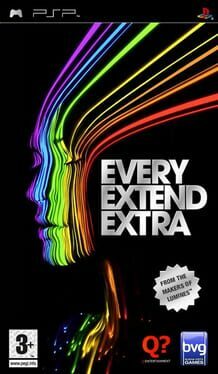 A version for Xbox Live Arcade, Every Extend Extra Extreme, was released on October 17, 2007.